Happy Wednesday friends! 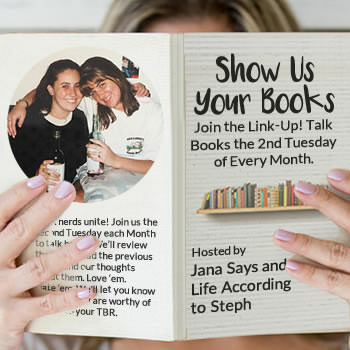 I'm recovering from another great Show Us Your Books yesterday so my friend Jessie is pinch hitting on some Malaysia travel talk. Enjoy! 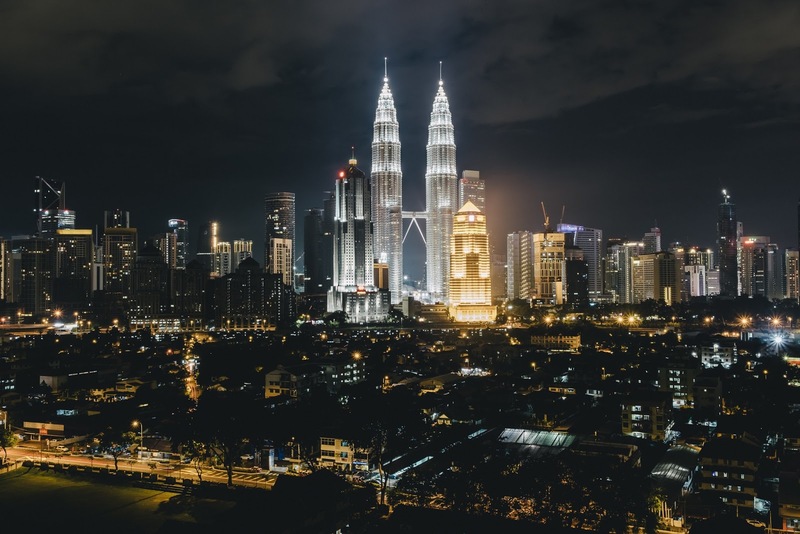 Malaysia has long been one of the most dynamic countries throughout Asia, with loads of business opportunities, things to see and do, and a beautiful setting to make it all just a little bit better. Being known as the Wild East, it’s easy to guess what you might be able to expect from a trip to a country like this. Of course, though, guessing isn’t enough when you’re planning a trip, and that is what this post is here to help you with. By exploring some of the most popular attractions in this part of the world, it will open your eyes and inspire you to start planning your own visit. Asian countries have long separated themselves from the building methods used in Western countries. Relying on their own unique designs and methods, the types of structure you will find in places like Malaysia are wildly different to those which can be found at home. You can find a lot of buildings which represent traditional chinese architecture in this part of the world, along with touches from all around Asia. Of course, though, like most nations, they’ve also developed their own style as time as gone on. Along with the old buildings which can be found in a country like Malaysia, there are also the more prominent modern behemoths which are worth your attention. The Petronas Twin Towers, for example, was the tallest structure in the world until a few short years ago, and is still considering a feat of engineering by many experts. There are numerous grand buildings like this on show across Malaysia’s cities and towns, making it a great place for anyone who is interested in industrial construction. Having played host to so many people throughout history, both in the form of colonists and travellers, Malaysia has a rich and vibrant history which is easy to find. There have been many major religions in this area, with Hinduism and Islam being the most commonly found today. This has lead to a huge range of different temples and other holy places to be constructed, and they often reflect the faith they teach in the architecture used. Of course, though, their history stems from more than just religion, and they have plenty of museums available to teach you about their proud past. Having people from different parts of the world sharing the same space isn’t always a good idea. In the case of Malaysia, though, diversity has served the country well, with loads of unique attractions and points of interest which are based on the visitors which came in the past. Finding a house for rent in Melaka can give you the chance to experience a lot of these for yourself. To give you an idea of what is on offer, you can find some examples of sort of impact foreigners have had on Malaysia over the years. Chinese: Being so close to the nation of China, it makes sense that Malaysia would be influenced by culture from this part of the world. There are loads of buildings throughout this part of the world which were built by Chinese settlers. While building techniques are very similar, there are subtle differences between these structures and the ones of the natives, creating an interesting scene. Dutch: European architecture shares practically no similarities with the buildings found in Asia, and this makes the Dutch elements found in a town like Melaka incredibly intriguing. Examples range from the impressive town hall to normal homes, and they are integrated well with the local structures. There are few places in the world which offer such a strong sense of diversity. The Churches: While Christianity has never held a huge sway over the native population of this country, visitors throughout the ages have always been interested in building churches in Malaysia. With some of the oldest examples of buildings like this being hundreds of years old, a lot of them have been preserved extremely well, add to the unique feeling which you will find in a lot of Malay cities and towns. Nature is one of the few things which will be impossible to escape when you travel the world. Every country has its own claims to fame when it comes to wildlife, and Malaysia is certainly no exception. With the country boasting a large range of different zoos and aquariums, it’s easy to find animals and plants without having to look too far. For most people, though, it will be the natural landscapes which are the biggest draw, with oceans filled with sharks and forests filled with birds. Of course, though, this will be worth researching before you leave, as no everyone will get on with the wildlife found in a place like this. Finally, as the last tarea to consider, it’s time to think about the fun which can be had in a place like Malaysia. Drinking laws are fairly relaxed, making it very easy to unwind with friends. Along with this, though, there are loads of attractions which are great for kids, with Legoland being a crowd favourite. It’s rare to find this sort of side to a country which is so heavily based around culture. If you’re willing to do some research, though, it can be surprising to see what can be found from a place like this. Hopefully, this post will inspire you to start working hard on the time you put into your next trip to the East. A lot of people ignore countries like Malaysia, simply because they have so many other interesting places surrounding them. Being at the heart of the action, though, Malaysia has soaked up a good amount of what makes its neighbours special, all without losing the charm and history which it built itself. If you’d like to learn more about places like this, it’s always worth reading as many posts as possible, as this will give you a clear insight into the sort of trip you can expect.